For many writers, getting that first contract is a great step, one they've looked forward to for a long time. But experienced writers know that there's a long way to go between the completed manuscript and the contract to a book for which a reader pays good money and tells others about (either via a review or in person). And it gets serious about the time the box of author's copies arrives. 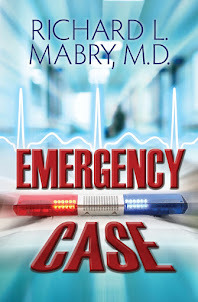 My tenth novel of medical suspense, Medical Judgment, will release in a little over two weeks. Actually, knowing what I now do about booksellers and publishers, it wouldn't surprise me if the book is available earlier than that--or later. But what I need to do to help market the book began long ago, and I thought you might be interested in the steps. First, let me thank the publisher for this book, Abingdon Press. Although they've elected to discontinue their fiction line, Abingdon has honored the fiction contracts they've executed, even to the point of having an outside public relations agency assist me in marketing. For this and so much more, I thank them. 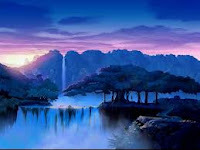 Months ago, I began contacting some of the individuals on whose blogs and websites I had appeared with previous books. Over the next month, you'll see either interviews or guest posts from me on ten different sites, and on each the publisher and I are teaming up to offer a free copy of Medical Judgement to a randomly selected commenter. That's in addition to my participation in the recent Christian Fiction Scavenger Hunt (and I hope lots of you took part in it). 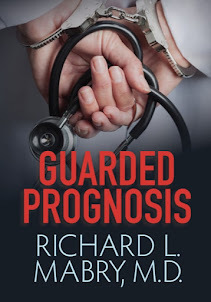 Just about the time things slow down, the PR agency has arranged a blog tour, so you'll see and hear more about Medical Judgment at that time. By the way, I'll make the same offer I made with my last one--if you win one of these copies, and you've already purchased Medical Judgment, send me the proof of purchase and I'll send you a $25 Amazon gift card. By the way, although I can't reveal the identity of the publisher yet, there definitely will be a home for my next three novels...and maybe more. Thanks for your support. Tweet with a single click: "How does an author get the word out about his/her books?" Click here to tweet. 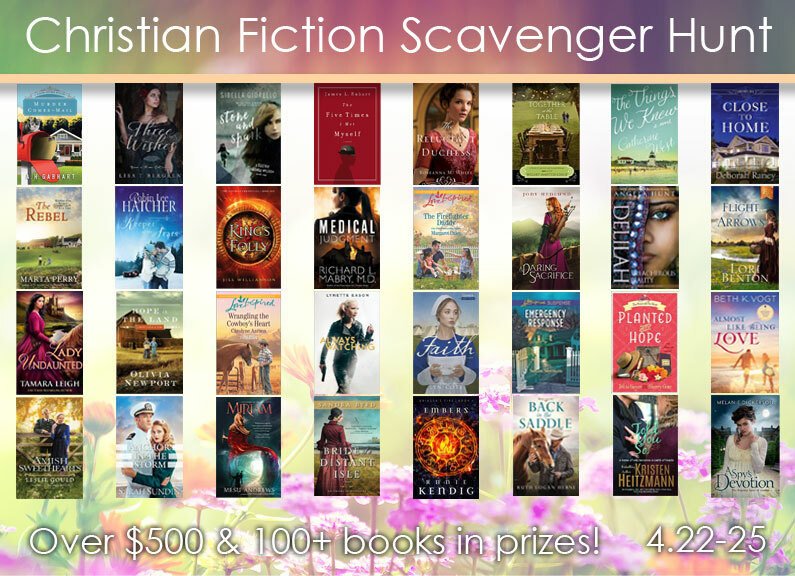 The spring 2016 edition of the Christian Fiction Scavenger Hunt is over. 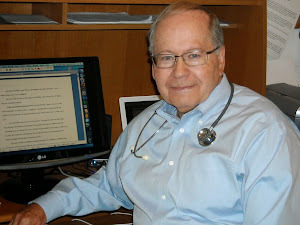 The comment of Tina Evans has been chosen by Rafflecopter to receive a signed copy of my latest book, Medical Judgment. I don't yet know the names of the winners of all the other prizes--that's being handled by the people who run the contest. But rest assured those who've won will be notified by email in due time. Meanwhile, my question to you is two-fold: Did you participate? Why or why not? And, while we're at it, here's one more question. Would you do it this coming fall (because I'll bet there'll be another one). 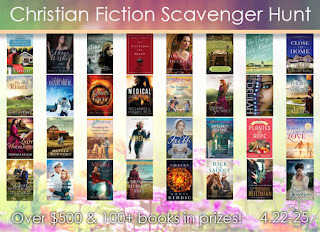 Tweet with a single click: What's your opinion of the Christian Fiction Scavenger Hunt just concluded? Click here to tweet. 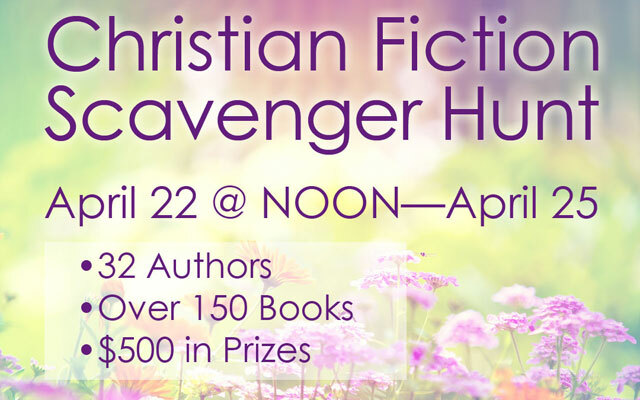 Welcome to the Christian Fiction Scavenger Hunt! If you’ve just discovered the hunt, be sure to start at Stop #1, and collect the clues through all 33 stops, in order, so you can enter to win one of our top 3 grand prizes! And if you get lost, go here. · The hunt BEGINS with Stop #1 at Lisa Bergren’s site. It is BEST VIEWED using Chrome or Firefox as your browser (not Explorer). It is open to entrants in the US and throughout the world. PRIZES include 3 sets of all 32 books, $500 in Amazon gift cards as well as additional prizes from many of the authors! · There is NO RUSH to complete this hunt—you have ALL WEEKEND (the hunt ends Monday). So take your time, reading the unique posts along the way; our hope is that you discover new authors/new books you might want to learn more about! Submit your ENTRY for the GRAND PRIZE at Stop #33 (here) by Monday night (4/25) at midnight mountain time. For this part of the Scavenger Hunt, my guest is Lynette Eason. I've had the opportunity to work with Lynette at a writing conference, and I'm excited to host her for this event. Her most recent novel, a Christian mystery, is Always Watching. Here's what Lynnette has to say about the book. "This is the first book in the Elite Guardians series. Truly, I’m not exactly sure where the idea for the story came from. Probably watching something on television or reading something in the newspaper. However, there it was. I wanted to write a series about an all female bodyguard team. So, I started researching only to find there was very little information out there about female bodyguards. The one thing I did come across was the Athena Academy in Athens, Greece. "This is their welcoming paragraph on their website at www.athenaacademy.com “Athena Academy is a premier full service International Security Organization, Consulting Firm and Training Agency comprised of female professionals. We provide security services in a safe, discreet and confidential manner to all of our clients in the entertainment, fashion, diplomatic and private sectors. "Needless to say, after reading that, I was hooked. I had all kinds of story ideas coming at me! So, the Elite Guardians are a group of women who befriended one another at the bodyguard academy. Olivia Edwards handpicked the three women she wanted to join her in the business and convinced them to come back to the United States to work with her. All four are now best friends and co-workers. I’m now working on book #4 in the series. Without Warning, Book #2 comes out this August. Then Moving Target, Book #3 will be out at the beginning of 2017." 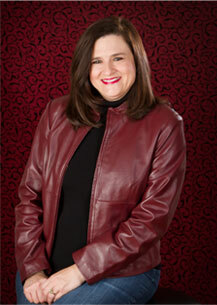 Lynette is the best-selling, award-winning author of over 35 Romantic Suspense books published by Revell and Love Inspired Suspense. She lives in South Carolina with her family. You can order her books from Amazon, Barnes & Noble, CBD, or your local bookstore. Here's the link to Stop #6, the Next Stop on the Loop. 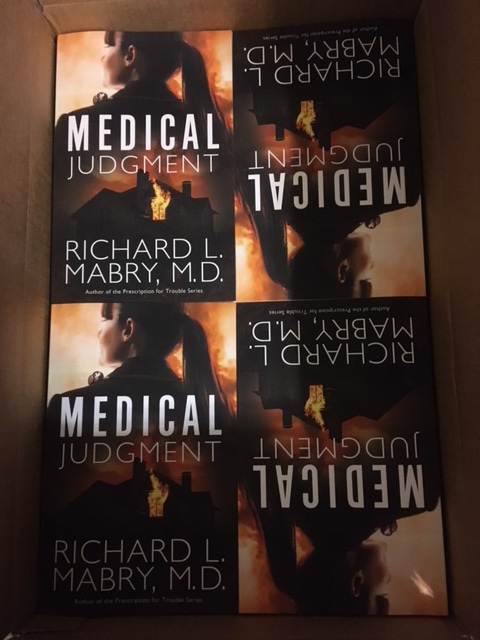 But one more thing before you go, I’m offering a free book to one entrant--here's your chance to get an ARC (advance review copy) of my next novel, Medical Judgment. You'll see it before it's released next month. All you have to do is sign up to get my e-newsletter (top right of my blog page) or note that you’re already a subscriber (it's the honors system). Rafflecopter will do the rest. Thanks for stopping by! Enjoy the rest of the hunt! 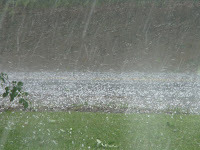 We had quite a bit of hail in our region last week. 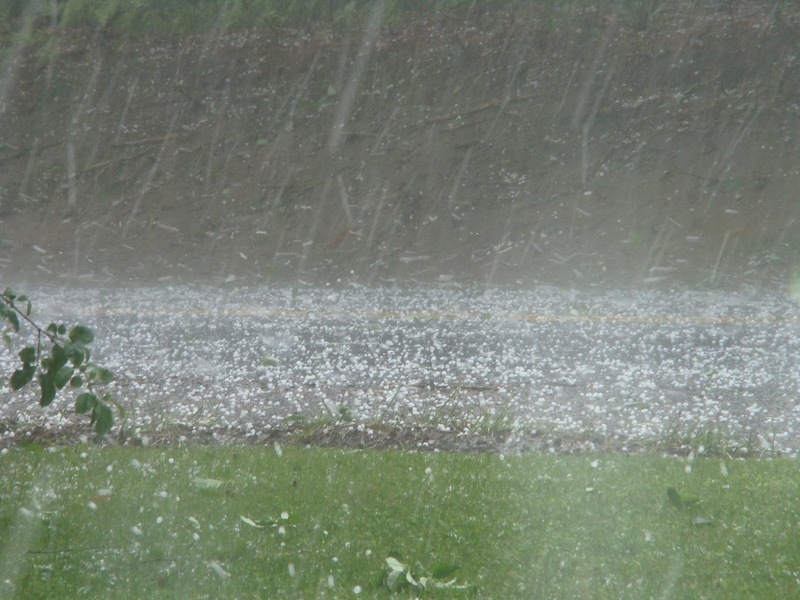 In some areas, the hailstones were the size of baseballs or larger. Windshields were knocked out. Huge dents were made in the bodies of autos and pickup trucks. The car repair people say that they'll be busy for a several months dealing with the residuals of the storm. The storm also raised havoc with roofs, and one roofer was quoted on TV as saying that the roofing business would be swamped for a number of months with the jobs made necessary by all this. There's flooding just south of us, with the amount of rain measured in feet in some areas. Roads are closed off, and some people can't leave their homes yet. I wish it were possible to immediately undo the damage done by natural disasters such as hail, flooding, rain, and other catastrophes. But since it's not, I'll pitch in to help where I can, and it's obvious that others are doing the same thing. Meanwhile, I hope that those of you reading this escaped the brunt of the storm. We did, and for that we're grateful. I'll admit it. Like so many of you, I take advantage of the cheap or free download of e-books from time to time. Although sometimes the work introduces me to an author whose work I want to pursue, there are times when I delete what I've downloaded long before I've completed the book. Has this been a waste of time? Not really. When I talk with authors about honing their craft, I always mention reading. Read good books so you know what works. And read bad books, so you know what doesn't. This is one way to read books that don't resonate with you. There are times I feel "stuck" in my own writing. That's when I visit my shelf of favorites. The picture above is of just some of the books I read and re-read, both for pleasure and to inspire me in my own writing. I have a few on my Kindle as well, but somehow I favor being able to pick up a printed book and read it. So that's one of my secrets: Read in order to enhance my writing. What do you think of it? Any ideas of your own? I'd like to hear. Oh, and in a week I'll be taking part in the spring scavenger hunt that features about 30 authors, with a chance to win copies of our latest books. 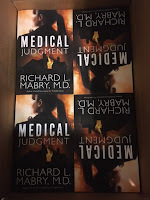 In addition, there'll be an opportunity for readers of this blog to win a signed ARC (advance reading copy) of my next book, Medical Judgment. Watch for it. Tweet with a single click. "Reading to enhance your writing." Click here to tweet. Like many Americans, I spent Sunday afternoon watching the Masters Golf Tournament on TV. I died a little bit with Jordan Spieth, who hit one ball into the water, then chunked his next shot. But that wasn't what I dreamed about that night. I'm concerned about our country, and the political situation right now is enough to make a brave person cry. But that wasn't what I dreamed about that night. 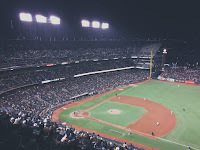 It's baseball season, and the hope that every fan had for his/her team is beginning to dwindle in some cases. My beloved Texas Rangers have suffered two injuries already, and I fear there are more to come. But that wasn't what I dreamed about that night. My dream was about a blog post that would blow the socks off my readers. It was a wonderful revelation, a fantastic piece of writing, a never-to-be-forgotten post. But I can't remember what it was. Ever had one of those dreams? Do you wonder sometimes what that bit of ephemera was, and wish you could recapture it? And if you have any idea what my own dream was, please let me know. Meanwhile, have a good week. And if you're reading this in the evening, pleasant dreams. Click with a single tweet. "Ever have one of those dreams you wish you could recall?" Click here to tweet. Writing: Must I Die To Be Recognized? 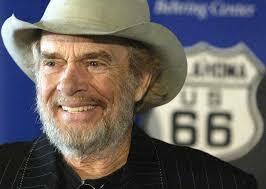 The death of Merle Haggard this week received a lot of press, both locally and nationally. This "Okie From Muskogee" appeared forty times (by one count) in Fort Worth. He traded shamelessly on his outlaw past and took strong anti-war stances in recent conflicts. If history tells us anything, it says that there will be increased demand for his recordings now that he's gone. Why bring this up in a post on writing? Here are three names to consider: Herman Melville, Emily Dickinson, Edgar Allen Poe. All are recognized as greats in the writing world. But none of them was given their due until after they died. So the question for those of us who have decided to follow this road to writing is this: What is the reason we write? Is it for critical acclaim? Is it for money? Do we want accolades while we're alive to hear them? Or is there another (more important) reason. Whatever your profession, what's important to you? What's your ultimate goal? 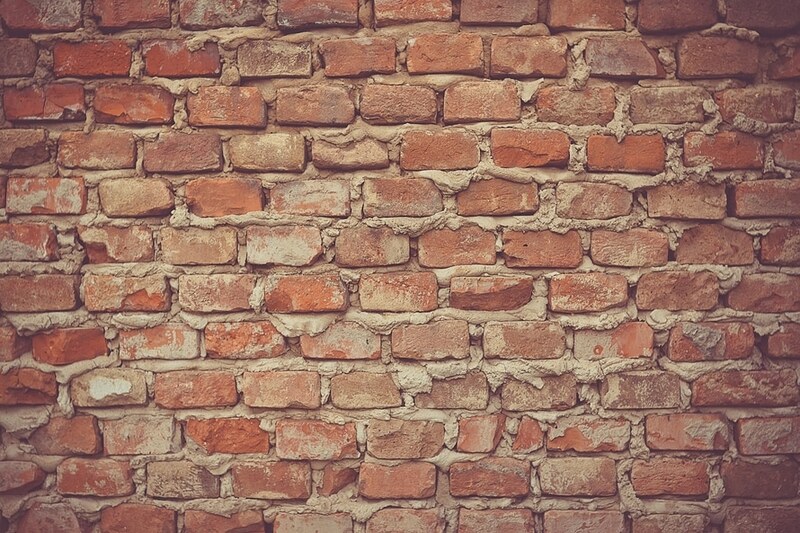 Tweet with a single click: Whether you're a writer or not, what's your ultimate goal? Click here to tweet. Our world is in terrible shape. The race for US President makes me sick. Terror attacks seem to spring up on a weekly basis. ISIS poses a threat to the US and the world. We can't turn on the TV or open a newspaper (and, yes, I read an old-fashioned, printed on paper copy) without seeing something else that raises our blood pressure. But today something happens that will help me take my mind off all the bad things of the world for a few hours. This is baseball's opening day. I agree with those who say, "Players are getting paid astronomical salaries to play a children's game." Baseball teams have turned from what one player of the 50's described to me as a group that travelled together, played together, and had cohesiveness to "twenty-five men with briefcases." But do I still watch the games? Do I anticipate the beginning of the season? Yes. Are there things that help you take your mind off what's going on in the world, even temporarily? Let's talk about them. Tweet with a single click. "What does the opening day of the baseball season mean to you?" Click here to tweet. The following post isn't an April Fool joke. I wish it were. We read it and hear it, but until we've encountered it first-hand, it's a concept, not a reality. Unpublished writers dream of the day they sign a contract for publication of their manuscript. In their mind, it's a "first contract," because surely there will be more to follow. That contract is followed by two or three rounds of edits to which the author must respond. There's marketing to be done. (The publisher will direct this and help, but we find that it's true--No one is as interested in selling our book as we are). There are interviews, blog posts, giveaways, and the continual urging to write that all-important second book. That's part of the writing life. But the frustration I want to address isn't getting that first contract, or marketing, or even bad reviews (and believe me, they come--truly, you can't please all the people all the time). The frustration that hits some authors is that, because there are more and more books being written, more and more authors out there, more and more competition for slots with traditional publishers, some authors with decent followings no longer get contract offers from those publishers. And you'd recognize the names if I gave them to you. Whereas there used to be a number of houses looked on as "major," some have been absorbed into others, with smaller publishers springing up to fill the gaps. One offshoot from the competition to get contracts from traditional publishers is an upsurge in self-publication. Writers choosing to take that route have to employ a professional editor (no, despite however many times you go over your manuscript, a fresh set of eyes makes a big difference), someone to design a cover (a few people are good enough to do their own--but very few), and make arrangements for publication as an ebook and in hard copy, as well as distribution. Self-publication isn't easy. But it's turning out to be the option many authors are now choosing. Have you noticed a change in the publishing industry? Do you think more self-publication is a good thing or bad? Let me know. Tweet with a single click. "Are writers becoming frustrated by the changes in publishing?" Click here to tweet.